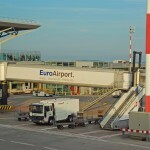 Easyjet’s orange aircraft will head to seven new destinations from Geneva, Basel and Zurich starting from this winter. Flights to these destinations can be booked now. 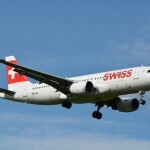 New flights from Geneva include Fuerteventura, one of the volcanic island making up Spain’s Canary Islands lying around 100 km from the coast of Africa, Inverness in the north of Scotland, regarded as the capital of the Scottish Highland, and Munich, the home of beer and BMW. The airline will offer four flights a week to Munich, starting on 21 October 2016, two a week to Fuerteventura during the winter season from 1 November 2016 until 25 March 2017, and weekly winter flights to Inverness running from 5 November 2016 until 25 March 2017. Easyjet will make the 4 hour flight from Basel to Funchal, a city on the Atlantic island of Portugal and the birthplace of Portuguese footballer Cristiano Ronaldo, weekly from 1 December 2016. 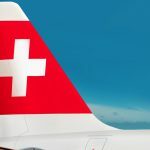 This new flight will come as great news for residents of Basel. 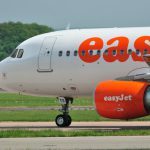 Easyjet threatened to make cutbacks at Basel airport after the French government announced plans in 2014 to increase taxes on companies operating there. Despite the airport’s name referring to a Swiss city, it is based entirely on French soil. Originally, as part of a cross-border deal agreed in the 1940s, the French government offered tax concessions to airlines operating from the airport. Then in 2014 it announced a u-turn. New flights from Zurich include: Amsterdam, Berlin, and Lisbon. There will be three weekly flights to Amsterdam from 31 October 2016, six a week to Berlin starting on the same date, and three to Lisbon from 31 August 2016. Flights to all of these destinations will run all year round.